Professor Donald Maurice from the New Zealand School of Music that is jointly run by Massey University and Victoria University. Professor Donald Maurice of the New Zealand School of Music, who has been invited to represent New Zealand at a special concert in Poland, will offer a preview of his work at a concert in Wellington in August. The recital is at St Andrew’s on the Terrace in Wellington at 12.15pm on Wednesday August 14. It will include a work by Anton Wranitzky that he will also perform at the Polish Music Publishing House in Warsaw on September 15 as part of official celebrations to mark 40 years of diplomatic relations between the two countries. 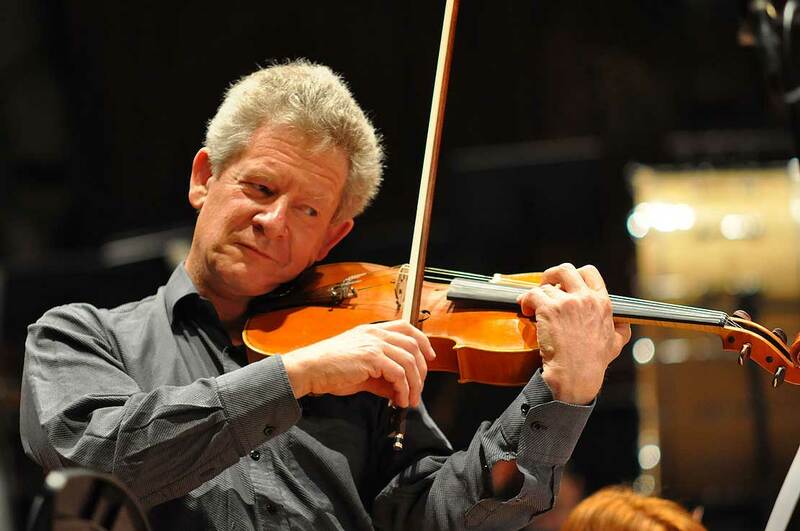 The concert in Warsaw features music and musicians from both countries, Professor Maurice will perform Allegro tempestuoso from Anthony Ritchie’s Viola Concerto and Douglas Lilburn’s Salutes to Seven Poets for viola, piano and narrator. He will be accompanied by Polish pianist Urszula Szyrynska and joined by fellow violist Marcin Murawski (Poland) in performing the ‘Allegro’ from Anton Wranitzky’s Concerto for two violas and Henryk Wieniawski’s Two Caprices for two violas. “Presenting the music of Wranitzky and Wieniawski alongside Ritchie and Lilburn - with the inclusion of readings by Poles and Kiwis of poetry by seven well-known New Zealand poets - is a powerful way of celebrating our European heritage and our special relationship with Poland,” Professor Maurice says. The previous day, September 14, Professor Maurice will give the world premiere of a new sonata by Israeli composer Boris Pigovat at the International Viola Congress in Krakow. The Warsaw concert is one of a number of events supported by the Ministry of Culture and Heritage and Ministry of Foreign Affairs and Trade. Arts, Culture and Heritage Minister Chris Finlayson says Professor Maurice has " long experience as a musical ambassador, having presented local works and other significant repertoire in Germany, England, Iceland, Canada, the US and Australia. “Music has often been said to symbolise peace and shared humanity. I am proud the New Zealand Government is supporting this concert in honour of our much-valued friendship with Poland.